Spring spading & tomato grafting, plus NEW pickup sites & Extra Shares! Posted 3/29/2019 11:12am by John and Aimee Good. The weather is finally warming and we are getting ready to plant outside. Farmer John is spading the fields for the first time today. We also got a load of organic aged compost delivered today - the farmer's rich black gold. Yes - being certified organic does mean going the extra mile! Everything we put on our fields is organic, including the compost and straw mulch. Even the seeds that we plant are certified organic, as long as the varieties are available. And the more certified organic farms there are, the more demand increases for the seeds and products we use, which creates more opportunities for organic growing, and that's a great thing for our planet, our home. Do you want to support your local organic farmers? Become a CSA member today! We have been busily planting and tending the veggie plants that are filling up the greenhouse! 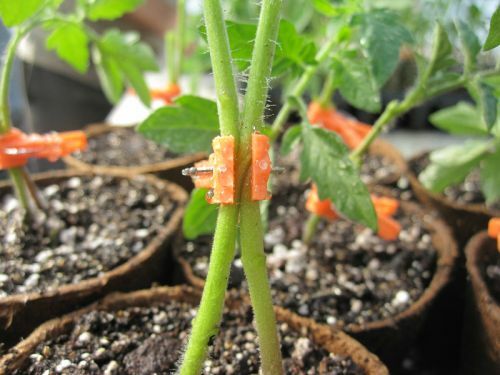 This week was tomato grafting week. We grow two plants, a wild-type rootstock and a scion (fruiting variety) and graft the scion to the rootstock. This makes for an extremely vigorous, disease-resistant, and productive plant. Check out this neat video on facebook or instagram to see plant surgery in action! We plan to continue putting out more fun farm videos this season, so follow us to catch them all! New for the 2019 season, we are working with The Restoration Space, an integrated health center in Bethlehem, to be a new delivery site, on Thursdays from 2-6 pm. This is a beautiful center, doing great work. We are excited to be partnering with them, and extending our delivery range to the entire Lehigh Valley! Also, we have a new site host for the Kutztown delivery, Four Monkeys Coffee, at 100 Constitution Blvd. hosted by Colleen Eugster, on Thursdays from 4:30-7:30 pm. This super-friendly and convenient location also has great coffee, tea and snacks available, with improved customer service for members! Note - coffee shares cannot be delivered to this location. New for this year - Farmstead and cave-aged cheeses, gourmet mushrooms, artisan bread baked in a wood-fired oven. The ever-popular fruit and egg shares are back. Coffee share is back, but with new weekly or biweekly options! Any of our extra shares can be added on when purchasing a veggie share. Check them all out below . . .
Beginning in July, enjoy 16 weeks of delicious local fruit: mouth-watering yellow and white peaches, juicy blueberries, fragrant apricots, creamy tender pears; and many varieties of delicious apples with distinct flavor, including Honeycrisp, Keepsake, Liberty, Jonagold, Crimson crisp, and more. Eating these apples will make you want to never buy them at the store again! This is the way fruit should be - peaches with juice that drips down your chin! 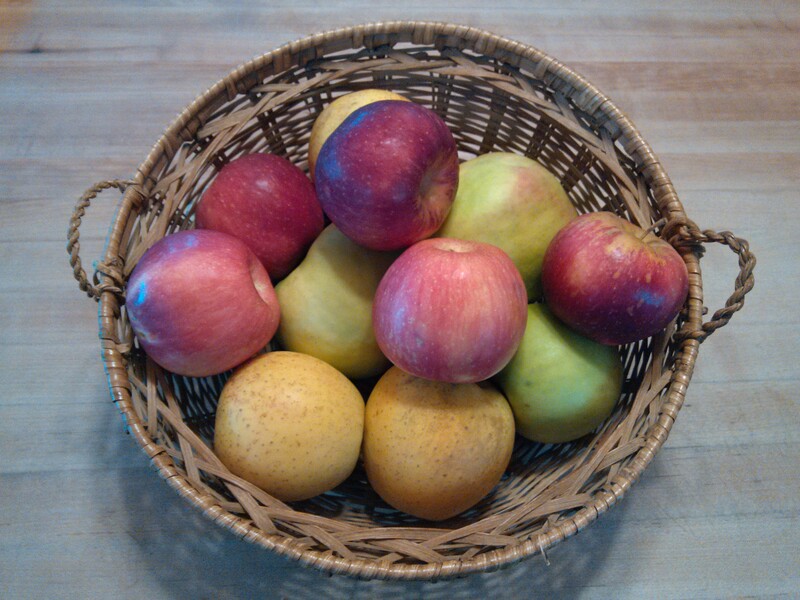 Fruit shares average 5-6 lbs per week, about 12-20 pieces of fruit, depending on type and size. 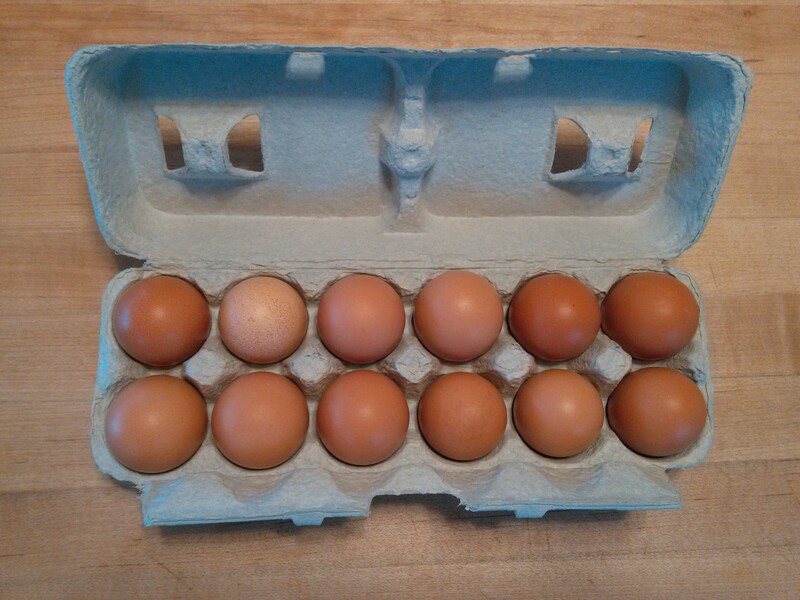 Enjoy a weekly share of 1 dozen fresh certified organic, pasture-raised, soy-free eggs from Spring Creek Farms. The quality of eggs from hens rotated on healthy pastures is unbeatable, and you can see and taste the difference in the bright orange yolks! Certified organic is always GMO-free! Spring Creek Farms is a multi-generational certified organic family dairy farm located in Wernersville. They have been farming the same land for 5 generations! Every other week, receive a loaf of artisan bread baked in small batches in a wood-fired oven by Switchback Pizza Company. 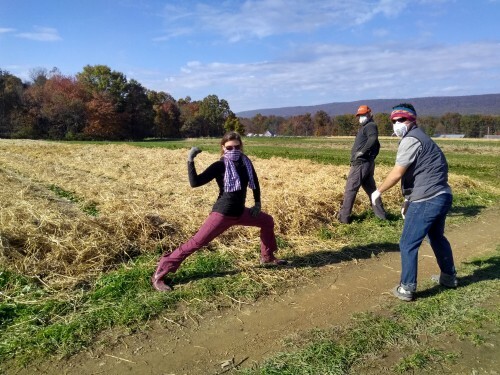 They grind locally, organically grown wheat berries from Red Cat Farm and mix it with their own custom flour blend to create awesome, naturally leavened bread. The standard Farmhouse: A great all around whole wheat/white wheat bread, will be rotated with other varieties including: Sesame semolina, Oatmeal, Grano Arso (wheat berries are toasted before grinding for a very unique tasting bread), Saison Rye (made with locally brewed Saison beer), and Walnut cranberry. Biweekly share of 2 cheeses; ranging from artisan cave-aged cheeses to farmstead cheddars to fresh cheeses such as ricotta and Camembert-style, hand-crafted by Hillacres Pride Dairy. Cheddars and colbys are vacuum sealed and approximately 8 ounces. The artisan cheeses are usually close to 6 ounces. The quark will be 8 ounces, the flavored fresh cheeses are 5 oz and ricotta will be a whole pound. Cheeses are paired with what is in season for vegetables-Feta with greens, fresh mozzarella with tomatoes, ricotta with eggplant, etc. 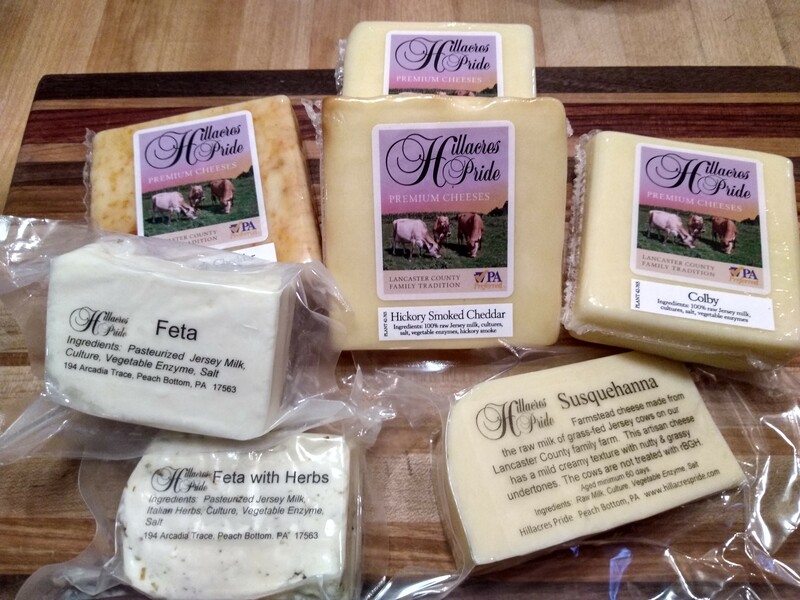 Hillacres Pride is a multi-generational family farm that has been raising certified Jersey cows on green grass pastures for many years, and making their own cheeses since 2003. Cows are fed hay and silage grown on the farm during the winter months. They are never given growth hormones, and only receive antibiotics for illness. 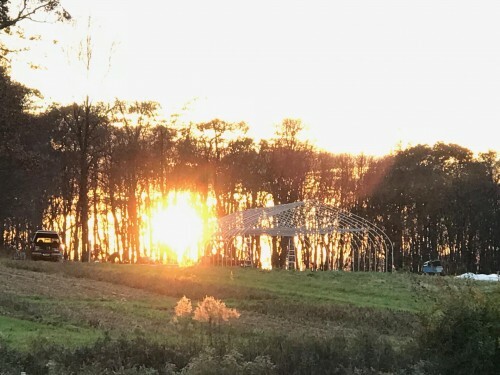 Beginning in fall, 10 deliveries of fresh, gourmet mushrooms from our local family farmers at Primordia Farm in Lenhartsville, PA, raised naturally and chemical-free. 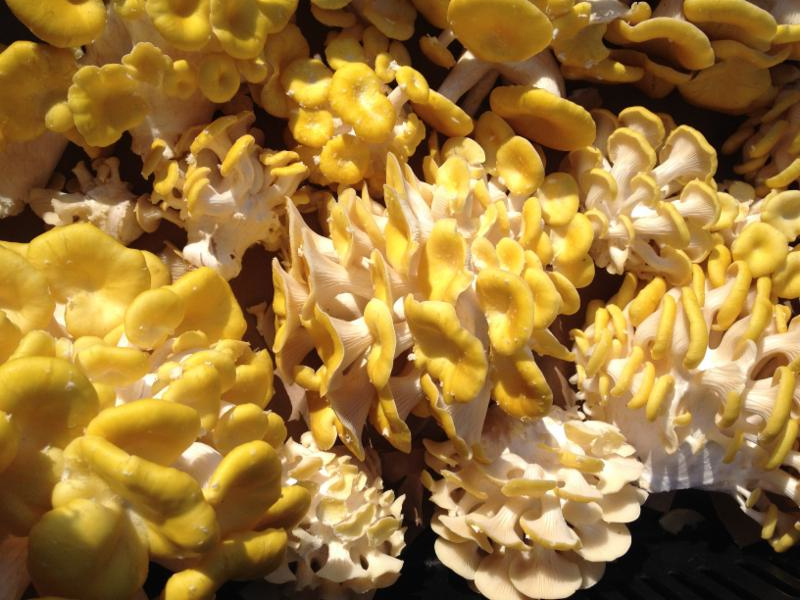 Varieties include shiitake, oyster, golden oyster, pioppino, lion's mane and maitake mushrooms. Freshly roasted coffee, from our neighbors at Bake Oven Coffee Roasters, right here in Germansville. 12 oz per week, available as whole bean, or drip grind, your choice. Expect a diverse selection of seasonally available varieties, including Zambian, Ethiopian, Brazilian, and Guatemalan. Weekly share members receive a bonus-size bag or extra sampler-size bag monthly! *Note - Bag size increased from 2018, but price per ounce decreased! PLEASE NOTE: This share is not available for Kutztown delivery! Wonderful fresh-roasted coffee can be purchased directly from Four Monkeys Coffee at Kutztown pickup! Any questions about CSA membership for 2019? Let me know. Ready to join? Sign up here! The real-deal meal delivery plan = CSA! NEW DELIVERY SITES!!! Posted 2/28/2019 3:16pm by John and Aimee Good. Sure, you could sign up for Hello Fresh or any of the numerous meal delivery plans out there today. But would the veggies be picked the same day you get them? Would they be raised locally on a certified organic farm? Would you actually learn how to use new ingredients and create meals from scratch? 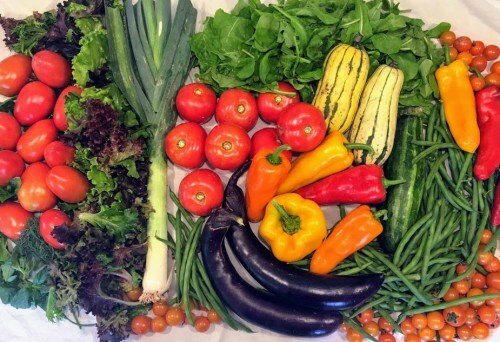 CSA shares can give you all of this, at a much better price! For just $27/week, you get amazingly fresh delicious produce that becomes the focal point of your meals, with recipes and cooking instructions that help you to become a better cook. We may not come to your door, but we have many delivery locations throughout the Lehigh Valley! I am sure we have one near you. Just added - New Bethlehem pickup location!!! Boxed shares offer the convenience of local, quick pickup with all the staple veggies included weekly plus highlights of unusual varieties. A weekly trip to the farm offers the flexibility of a market-style pickup, plus a visit to the U-pick garden -cut flowers! fresh herbs! and more! * Market Style pickup: Members pick and pack their own shares. Set amount of staples (ie. tomatoes, onions, potatoes, sweet corn, carrots, etc.) plus selection of greens, and rotating choices of unusual or love/hate veg. (think beets, turnips, radishes). *** ON-FARM pickups: Tuesdays- 1-6 pm and Fridays 2-7 pm are market style pick-up; Saturdays 9 am - noon is a boxed share pickup. Germansville sounds far away, but that's mostly because the only reason to come here is to visit a farm or hike at Bake Oven Knob on the Appalachian Trail! Remember, it's included in your share! To find us, check the google map. P.S. Don't forget the Spring Sign-up Special is happening now - Sign up before March 10th to get in the raffle for a $25 gift certificate to The Good Farm store! Missed out? Don't worry - still a chance to win a $25 gift certificate to The Good Farm store! Posted 2/25/2019 2:36pm by John and Aimee Good. We are not ready to be done with the CSA Day fun!!! Yes! 25 members have won a free jar of Good Farm salsa with their CSA signup! But, you can still have a chance to win more Good Farm goodies . . .
Sign-up over the next 2 weeks and you will be entered into a raffle to win a $25 gift certificate for The Good Farm store! Our online store, CSA extras, has all our farm products during the season; such as salsa, tomato sauce, ketchup, and Good Farm tote bags; as well as rotating seasonal veggies, such as tomatoes, cucumbers, beets, and more. Click on the link to Sign up Today! P.S. We want to get you really excited about the 2019 farm season! We have plans for more sweet corn, more strawberries, early tomatoes & cucumbers, new CSA pickup sites, and new extra shares! Keep an eye on your inbox - more info coming soon! CSA Day Specials coming your way - get ready! Posted 2/19/2019 1:41pm by John and Aimee Good. Celebrate CSA Day with us! 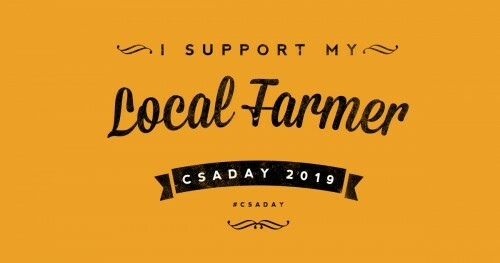 CSA Day is Friday February 22nd, 2019! CSA Day is the most popular time to sign up for a CSA share across the nation. It is also the most important time for CSA farmers to get the support of members, as we are literally sowing the seeds for the harvest now! Today we started tomato and onion seeds. On Friday you can "sow the seeds" for a season of healthy eating in 2019, by signing up for your CSA share! SPECIAL BONUS! Free jar of Good Farm mild Salsa to the first 25 people who sign up on CSA Day! Bookmark this CSA Sign Up Link, and be ready on Friday February 22nd! There are so many benefits to a Good Farm CSA share; I will list just some of them here. . .
100% Certified Organic produce, for your peace of mind. 100% Good-Farm grown. Know your farmer, trust your food. Veggies that taste so good, you actually want to eat your veggies! Eating more veggies & fruits comes naturally with a CSA share, which gives you more energy, and sheds the extra winter weight! The weekly farm share, along with the recipes and cooking tips, helps you expand your cooking skills. You learn how to combine ingredients, experiment in the kitchen, and create truly delicious meals. Like all good chefs know, the best meals start with really "good" ingredients! Once you have had a Good Farm CSA share, with delicious produce picked within 1-2 days of going home to your table, it's really hard to go back to the grocery store. So get ready to get on board for the 2019 season! 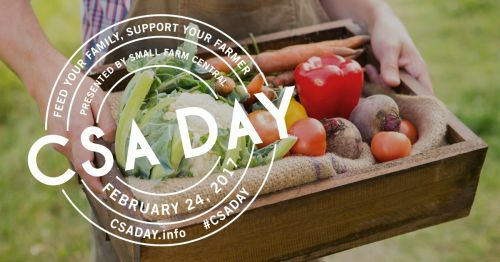 And don't miss out on the chance to get a free jar of Good Farm salsa, just by signing up on CSA Day, this Friday February 22nd! Here's that CSA Sign Up Link again! But don't worry - we will remind you. Does organic matter? Check out this recent study . . .
Posted 2/16/2019 8:08am by John and Aimee Good. We thought this study was so interesting, we just had to share it with you. I know we are always talking about how much better organic farming is for the environment, and for producing nutrient-dense healthy food. But it is very interesting to see the actual results of switching to an organic diet in our bodies. This study, led by University of California researchers and others, tracked four families eating their typical non-organic diet for one week. Every member of the family had detectable levels in their urine of the 14 chemicals tested during this period. After only one week on an all organic diet, levels of all pesticides dropped by more than half! And Malathion, a probable human carcinogen according to the WHO, decreased by 95%. And thank you for supporting organic farming, keeping your bodies and our earth free from harmful chemicals! Posted 1/31/2019 1:33pm by John and Aimee Good. 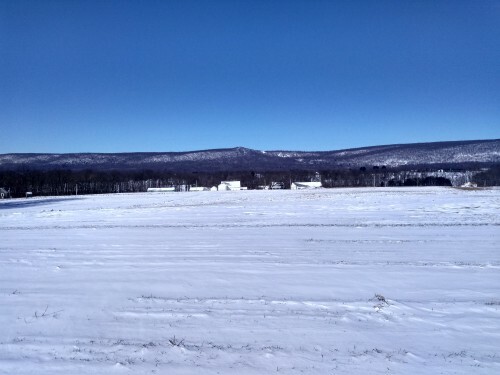 Cold, crisp snows fill the fields while wintry winds blow. 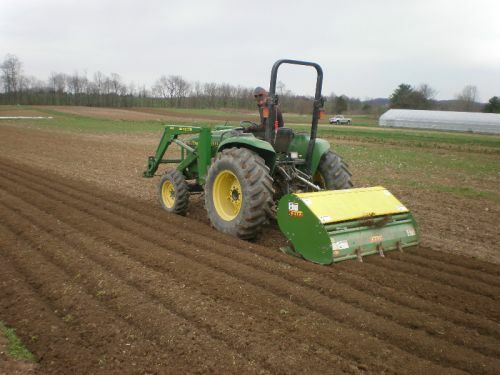 We vegetable farmers take advantage of the cold days to plan for planting season, which is actually right around the corner! 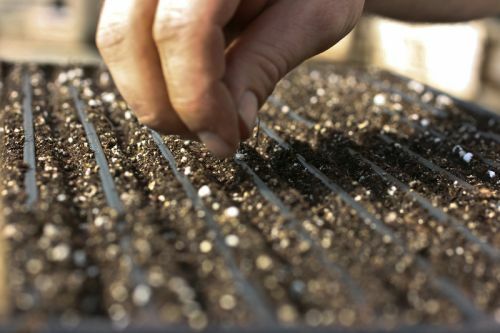 Starting mid-February we will begin seeding onions in the greenhouse, followed by leeks, scallions, broccoli and cabbage. The potting soil was delivered; the greenhouse is cleaned up and ready to go. John pores over the seed catalogs, with their gorgeous pictures of perfect vegetables. Everything grows perfectly in our minds in the wintertime, as we map out the season, week by week. Lots of spreadsheets help us organize 50 crops, with multiple varieties and successions. We like to get it nailed down to each bed in every field; with the varieties, seeding or planting rates, and dates, so that we are ready to go full speed once the chance arrives and spring is ready for us! Some exciting new varieties we are trialing this year - lime crisp cucumbers, European-style burpless cucumbers, orange queen watermelons, dark belle watermelons, mini "cheese" pumpkins, sweet white summer onions, and new heirloom tomatoes - "solar flare," "grandma's pick" and"pork chop." Gotta love those heirloom names! Hoping a little bit of excitement for summer goodies from the farm warms you up on this chilly day! Why not a Personal Farmer? Posted 12/6/2018 2:28pm by John and Aimee Good. We all have a personal doctor, who knows us and takes care of us. Many of us have an accountant and a lawyer. We hire others to do important jobs for us, that we cannot do ourselves. So why not a personal farmer? What is more important than the food you put into your body every day? You shake hands with your farmer every time you prepare a meal using your farm share. And that’s a great thing! For your health, and your peace of mind. At The Good Farm, we are your personal farmers. We are growing directly for you, the highest quality certified organic produce. And you can tell the difference, because you can taste it! I feel better and have more energy. I am eating more vegetables and fruits than ever before. I love the recipes and am cooking new things. I appreciate the storage tips and am keeping my produce much longer. I cannot go back to the grocery store, your produce has made me a food snob! As your personal farmers, we want to make sure that you are getting the most out of each and every farm share. Storage tips for every season - spring, summer & fall. Weekly recipes using the farm share - that are simple, but good. Most recipes are tested or created in farmer Aimee’s kitchen! We all know that the old adage is true - food is the first medicine. And if you don’t know where your food is coming from, that can pose a health risk these days! When you know your farmer, you can trust your food. Pretty simple. P.S. Renew your membership here at the early bird rate and get $15 off. Now through December 15th. Buy Now and SAVE, Pay Later! Farm share payment plans reviewed. Posted 12/3/2018 9:25am by John and Aimee Good. First of all, thanks to many of you who already renewed your farm share! We REALLY appreciate it! I am going to review the payment plans below, because everyone may benefit from this information. Buy now and SAVE - Small share price now-$610! After Dec. 15th pay $625. Regular share price now is $825. After Dec. 15th pay $840. We are farmers, we completely understand having a tight budget! Especially around the holiday season. So we have payment plans to make it easy for you to spread out your farm share payments over several months. A review of the payment plan: 20% deposit is all that is required to sign up! For a small share right now, that is just $122 and for a regular share, $165. No further payments until March! From March through June you will receive an email reminder about your payment, which is due at the end of the month. The payments will be the same amount as your initial deposit, for a total of 4 monthly payments. Simple! Flexible - You can pay in full at signup if you prefer. You can always pay your balance ahead of time if you wish, or make a double payment one month and then skip the next month. You can login to your member account with your email address to check your balance or make a payment at any time. Payment types - We take check payments (sent via mail or through your own online banking) or credit card payments via Paypal, with a slight surcharge to cover fees. You can switch payment methods at any point in the season by sending us an email. Well, I think I covered everything about payments here, but please let me know if you have any questions, about payment plans or otherwise! P.S. Looking for a share partner to split pickups every other week? Please let me know! I am creating a list to match members for biweekly pickup. Posted 11/27/2018 10:55am by John and Aimee Good. We hope you enjoyed a lovely Thanksgiving holiday, with good food, family and friends! I love Thanksgiving - all of my favorite things - lots of delicious food, shared with family and friends! 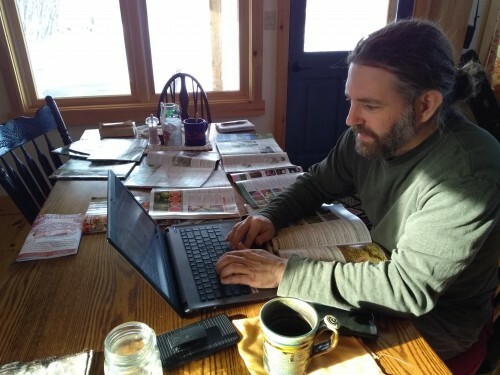 In the spirit of giving thanks, which I want to hold onto for a little while longer, although all the world is trying to push me right into the next holiday, here is a note from your farmers. . . Grateful farmers. We are grateful for the opportunity to do this work, to feed our community with REAL food fresh from the farm, and for your support to make it happen. Proud farmers - Every job that gets accomplished on the farm makes us proud, big or little. 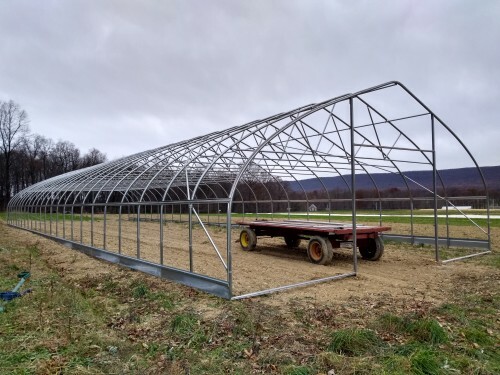 Building the high tunnel, a 30' by 96' structure, was a great feat. Back in October, completing the job of spreading straw mulch by hand over all the garlic and strawberry beds had us pretty excited, as you can see in this picture! Humble - Humility comes hand in hand with farming. We have witnessed first-hand how acts of nature can take apart in minutes; what it took weeks or even months to construct, like a barn roof! Every season we see that the results of our toil are subject to the whims of nature. This helps to keep us from getting "too big for our britches!" Happy - We are happy that you are committed to eating REAL food, that you have chosen us to be your personal farmers, that you have shared this journey with us. For some of you, 2018 was your first experience, and for many, we have been doing this together for many years now. We want to thank you for your continued support, and to offer you the opportunity to share the harvest again in 2019! The farm is a living entity, that thrives with the support of members. The best part is that it gives back all season long with farm shares of delicious produce! Coming December 1st, we will be opening up membership to 2018 members only, with a special EARLY BIRD discount! You won't want to miss this special offer, which will only last for 2 weeks! More information on this special renewal period for current members to come shortly. . . Keep an eye on your inbox! 2 busy weeks to High Tunnel completion! Posted 11/15/2018 11:08am by John and Aimee Good. Wow - we have had a busy 2 weeks! But the new high tunnel is nearly completed. We were able to build this new tunnel through a grant program with the USDA NRCS. We are so excited! This was a huge project, which we could not have done without the help of our returning farm apprentice David Darling, our local farmer friends Anton Shannon, Brandon Haines, and Dan Hunter; and my wonderful sister and parents; April Kocis, David & Mary Kocis, respectively. Thanks everyone! 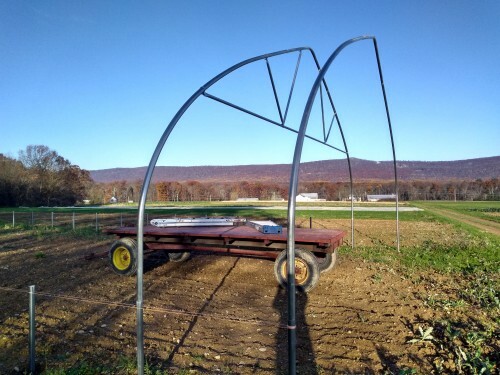 We plan to start the grafted tomatoes in this new tunnel, as it is slightly larger, and to use the older tunnel for other season extension, such as early European style cucumbers and fall greens. Here you can see the early stages of construction (pic left), the full house (pic right), and finally below, the tunnel at sunset. Thanks to our neighbor and CSA member Scott Wagner for the awesome sunset pic!